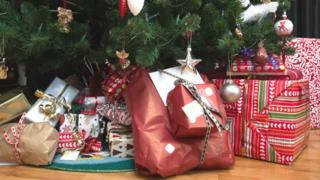 Christmas is the time when Christians celebrate the birth of Jesus Christ. 1. Many people don't like the word "Christmas" being shortened to "Xmas". 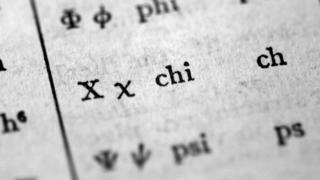 But what they might not realise is that "X" actually represents the Greek letter "Chi", which is the first letter of the Greek word for Christ, "Χριστός". 2. 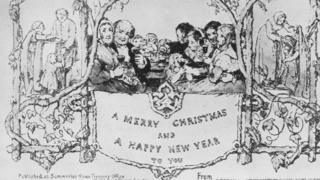 In 1843, a man called Sir Henry Cole was behind the first printed Christmas card, like the ones we buy in shops and send to each other today. He asked someone called John Callcott Horsley to design it. It had the words A Merry Christmas and a Happy New Year To You printed on it. About 1,000 cards were made and it cost a shilling, which was actually a lot of money at the time (5p in today's money). 3. The Christmas story about how Jesus was born is actually pieced together from two different versions - one written in the gospel by Matthew and one by Luke. The two stories are slightly different. 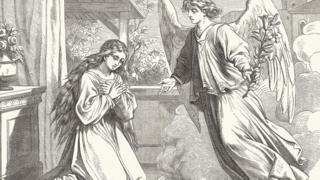 For example, while Matthew said the angel visited Joseph, Luke says that the angel Gabriel visited Mary to tell her she was pregnant. 4. 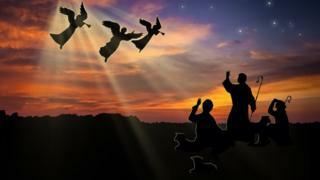 Advent - the period leading up to Christmas - starts on the Sunday nearest to 30 November. It ends on the Sunday before 25 December. 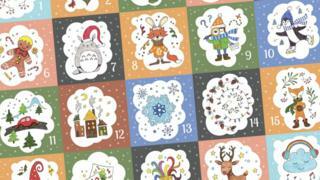 The word Advent comes from the Latin "adventus" meaning "arrival" or "coming". Many people might have an Advent calendar in the run-up to Christmas, without knowing that the word "Advent" actually comes from a Latin word, meaning Christmas is "coming"
5. Jingle Bells wasn't originally written as a Christmas song. It doesn't even mention Christmas, Advent or Jesus! That's because it was actually written for Thanksgiving. 6. During early Victorian times, mince pies used to be made from actual meat! It is thought this dated back to Tudor times. However, throughout the 19th Century, the traditional mince pie recipe started to develop to the one we know today, with fruit and spices. 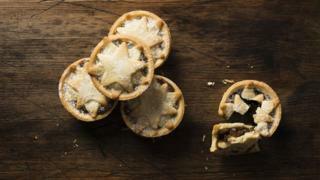 Mince pies used to made with actual meat in them! 7. The gospels in the Bible don't actually mention what date Christmas falls on. It wasn't until the 4th century that the Roman church decided the 25 December was when Christians should celebrate Jesus's birth. Some historians even think he might have actually been born during the Spring. One of the reasons for this is that the shepherds who visited baby Jesus were said to have been tending to their flock in the fields at the time they heard of his birth, which they would have been doing in the spring when lambs were being born. 8. In the 1640s, parliament banned celebrating Christmas! People called puritans - who believed in a more modest life led by stricter, religious rules - decided there should be no decorations and parties, like there had been. They thought Christmas had become too indulgent and that people had forgotten the religious significance of it. Many people kept celebrating in secret though until it became allowed again. 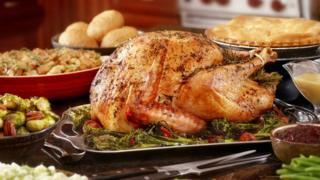 Celebrating Christmas the way it is celebrated today could have landed you in a lot of trouble in the past! 9. Epiphany is the name given to the day 12 days after Christmas on 6 January, when the wise men are said to have visited the new baby and Jesus was shown to the world for the first time. The word Epiphany comes from the Greek word meaning "show" or "reveal". 10. 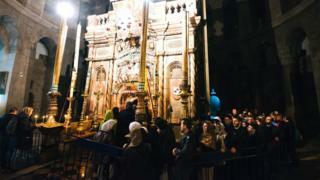 The majority of Orthodox Christians mark Christmas on 7 January. This is because they actually use a different calendar, called the Julian Calendar, which is 13 days behind the usual calendar, called the Gregorian calendar.